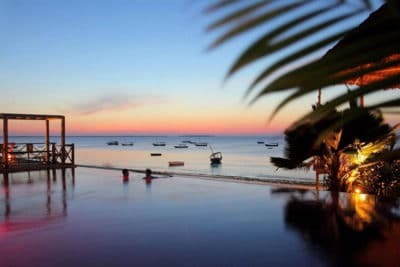 The Costs above are only indicative costs to guide you pick the right Zanzibar hotel for your holidays or honeymoon. The per person rates is based on 2 Adults traveling together during the green season. Rates only cover accommodation in Zanzibar. Click on the hotel name to get the actual cost of the package for your exact travel dates. You could also request for a tailor holiday or honeymoon package from here. 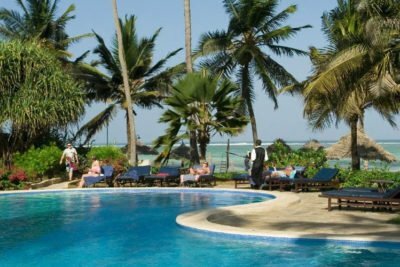 Get the best holiday packages to Zanzibar from Nairobi Kenya, Entebbe Uganda or anywhere else in the world. The exotic island of Zanzibar with its endless palm, virgin beaches, and sapphire waters is the perfect holidays and honeymoon destination. 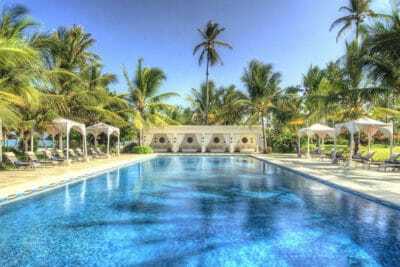 Zanzibar is also the land of real luxury as nature intended it. 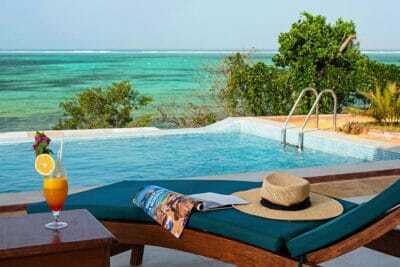 All our Zanzibar holidays and honeymoon packages for 2019 are not inclusive of flights to Zanzibar. We however will offer you the best rates for flights to Zanzibar and airport transfers in Zanzibar. You also get to choose which excursions you would want to take part in to spice up your Zanzibar Holiday. See below our Zanzibar holiday packages while staying some of the best hotels in Zanzibar. We guarantee the best rates. Hotel Riu Palace Zanzibar Hotel Riu Palace Zanzibar is located on Nungwi Beach, a beautiful white-sand beach with crystalline waters that will make you feel like you’re truly in paradise. 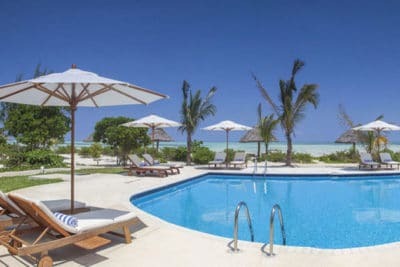 Uroa Bay Beach Resort is on Zanzibar’s east coast on the gorgeous Uroa Beach. 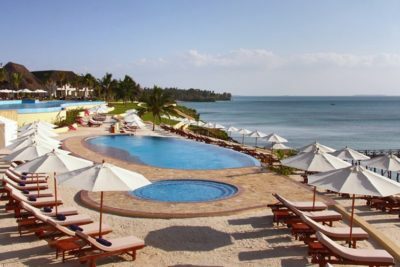 This Zanzibar resort offers a panoramic sea view with 300 mt of private beach. Awesome of an inexpensive Zanzibar holiday. 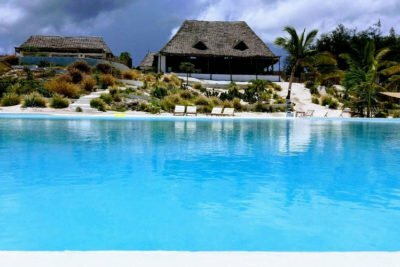 Set amid tropical beachfront gardens, this sophisticated resort is 8 km from the Kiwengwa Caves and 45 km from Zanzibar City. 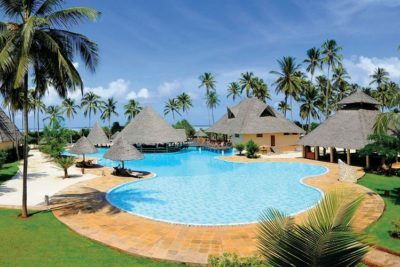 Ocean Paradise Resort & Spa is one of the best all inclusive beach resorts in Zanzibar. 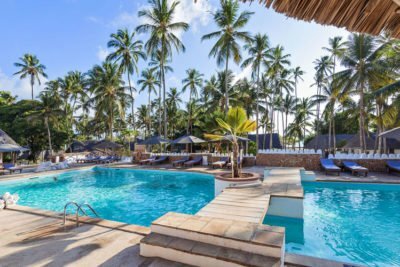 Hakuna Majiwe Beach Resort Dotted between the palm trees of Zanzibar’s South East Coast, along an unfurling swathe of postcard-perfect coastline, sits one of the best lodges – Hakuna Majiwe. 20 miles off the coast of Tanzania in east Africa lies a cluster of islands, a holiday paradise that many have heard of but only a few have had the chance to visit. The Zanzibar islands offer some of the most picturesque views of white sand, clear water, large swaying palms, and open skies to be found anywhere in the world, while also retaining the unique character of the local culture. As a matter of fact Zanzibar is a leading holiday destination in Africa. It’s a fantastic destination for a holiday and it’s easier to get to than you might think. For over two millennia, the area has drawn world travelers to visit its historic streets of Stone Town and sample its robust spice market which remains at the heart of local commerce today. The native language is Swahili, which you will find spoken commonly at the local marketplaces and eating venues, though Zanzibaris tend to be used to international visitors and frequently speak English as well. Getting in touch with authentic local culture won’t be a challenge. You can visit one of the local museums or historic sites, or else simply look around at the beautiful architecture that lines every curbside not to mention more than 500 carved doorways have been found in Zanzibar, some of which date back more than 300 years. The time has come to find out why Zanzibar has remained the prime destination for those interested in experiencing a unique and diverse culture amidst a gorgeous natural Zanzibar landscape. Whether it is the people, who are always ready to land a smile and a hand, the history, which is a rich and deep as some of the oldest civilizations on the planet, or the lifestyle, which will have you never wanting to leave, a Zanzibar holiday always has more to offer. Have a specific question or concerns about Zanzibar holidays or Zanzibar honeymoon packages? Read on, and learn everything you could want to know. 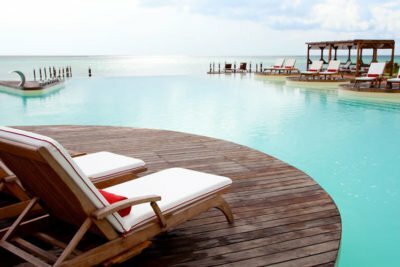 In Zanzibar, you will never be in need of finding luxury accommodations made to fit your budget. 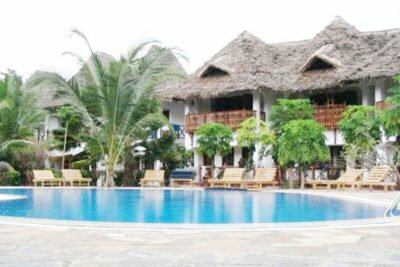 As a matter of fact there are dozens of Zanzibar hotels which come in all shapes and sizes to suit needs and tastes of all kinds. 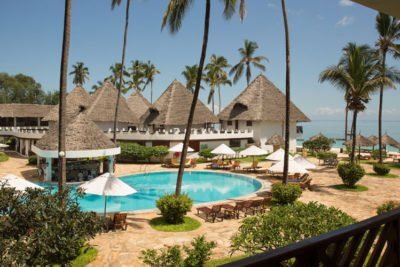 If an out of the way beach property suits you, you will be able to find an endless number of private Zanzibar beach hotels built amidst the serene landscape. If something more modern is more your style, you can take your pick of any of the five-star Zanzibar hotels in the Island. 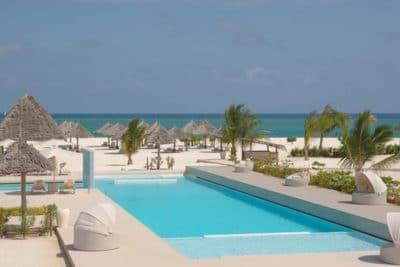 You can take your pick of any leading luxury Zanzibar hotels including Diamonds La Gemma dell’Est, Essque Zalu Zanzibar, Dream of Zanzibar and Hideaway of Nungwi. Each offers something unique for those who appreciate the finer things. The Hideaway of Nungwi is an ideal spot that offers a bit of everything. 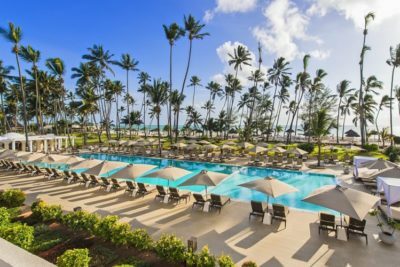 Placed right above a gorgeous, quiet beach, it offers the best dining and suites in the world, spa and fitness center, and exclusive villas that will leave you wanting for nothing. 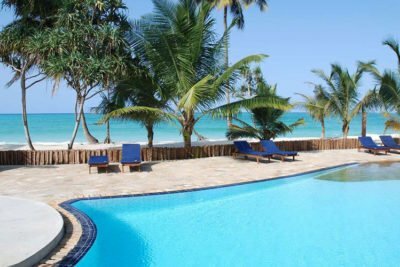 Essque Zalu Zanzibar Hotel is an award winning hotel that features private suites and villas on Zanzibar’s northern-most tip. Traditional architecture paired with lavishly-designed interiors will leave wishing you could stay a lifetime. 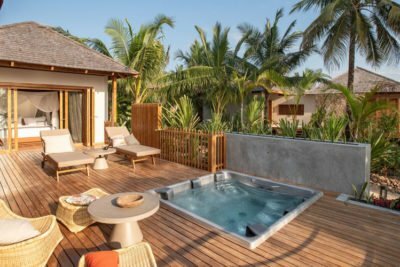 Even if you are looking for something simpler to save a bit of extra cash for sightseeing, you will be able to take your pick from a variety of world-class Zanzibar hotels that each offer their own unique charm. Doing a little research beforehand will definitely pay off, ensuring you find a good deal and a sweet location. 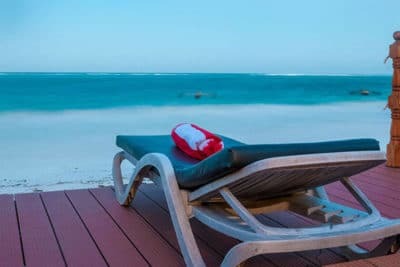 Whether you are looking for a family holiday, a romantic getaway, a Zanzibar honeymoon, or simply to get away from it all, a Zanzibar all inclusive holiday package should do the trick.. With its picture-perfect environment and laid back way of life, an all inclusive package to Zanzibar is just what you need. 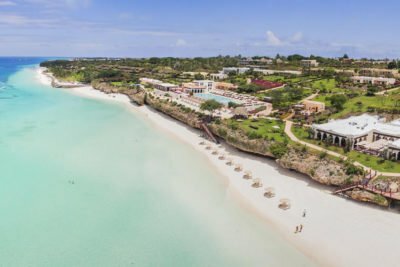 With a good number of all inclusive resorts in Zanzibar, you should not have to worry about that you should bite, or do at any one time. 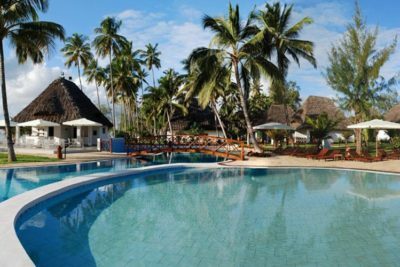 Here is a list of the 10 best all inclusive resorts and packages for Zanzibar. One of the best ways to make the most of your time in East African is to have a Safari and a Beach holiday there after. There are many multi centre holiday or honeymoon packages but none comes close to a Kenya – Zanzibar holiday combo. This exciting holiday combo will allow you to soak up the best of the Kenyan wild with a Masai Mara Safari and Zanzibar, home to beautiful virgin white-sand beaches with sapphire waters. This Kenya and Zanzibar safari holiday package sets the perfect back drop for romance. Zanzibar’s dry season, which lasts from July to September, is the choice time for travel. In reality clear skies, warm weather, and plenty of sunshine will accompany your stay, and make every visit to the beach one to remember. The dry season is characterized by temperatures that stay close to a perfect 27 degrees Celsius, while the rainy months are just a bit warmer, topping off at around 30 degrees. If heat is a worry, rest assured that the soothing sea breeze will always be around to keep you cool. If you would rather avoid peak tourism times, the ‘rainy’ season in Zanzibar brings daily short showers in November, which typically last long enough to cool you off from a day of sunbathing before quickly dispersing. The ‘green season’ of April and May brings comparatively longer showers which are rarer, and marked by temperatures that drop down to a pleasant 25 degrees Celsius. Above all this is the period when you will get some of the best deals, cost wise. 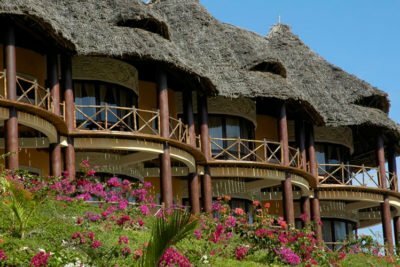 Zanzibar honeymoon packages are available to make unforgettable memories that will last a lifetime. What makes for a better honeymoon destination than your own private little spot on the beach that affords all the peace and quiet you could ask for? Nothing is more romantic than day-long walks down the sandy shores and intimate meals shared over candlelight. A selection of local and international cuisine will offer plenty of dining options to share with your special someone. As a key hub in the spice trade, the smell of clove and nutmeg will be everywhere you turn, and bring some of the freshest flavors to your meals. How to get to Zanzibar is an equally important question we need to answer. 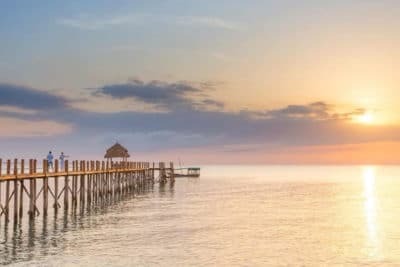 People from all around the world make their way to Zanzibar; whether you are coming from Kenya or South Africa, the United Kingdom, or anywhere else, the destination will be well worth the trip. Flights from London start at $950 and can take you to your island getaway within 15 hours. 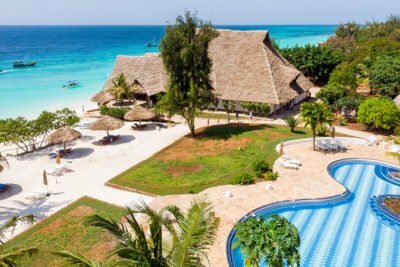 Take a quick trip from Nairobi, Kenya and in less than two hours and $250, you can be walking the sun-drenched beaches included in one of many Zanzibar holiday packages. Zanzibar also sees its share of flights coming in from Abu Dhabi and other major cities in the UAE. At just over $400, it makes an attractive option to couples looking for a bit of time together. 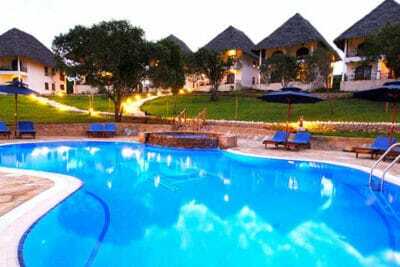 Contact us to get the best rates for flights to Zanzibar. When traveling internationally, generally speaking, safety should always be the first concern. So finding ways to keep yourself, your loved ones, and your property safe is a priority. Coupled with its beauty, luckily Zanzibar has a good reputation when it comes to safety for its visitors. Because the islands benefit so much from tourism, the local population is always ready to lend a helping hand or a welcoming smile to those who stop by. Resorts and hotels are made to cater to your needs, and always ensure an environment of security and comfort. When traveling within the country, different ferries and taxis provide a safe and reliable way to get from place to place. Just like any country, it might not be the best idea to spend too much time in isolated alleyways during night time but on the whole, in fact many visitors feel safer exploring the streets and beaches in Zanzibar than they do in their home country. So is Zanzibar Safe? Yes, very safe. See: How to Stay Safe in Zanzibar. What many might not expect about Zanzibar is the vibrant nightlife that exists around every corner. The image of quiet candlelit dinners on the beach is certainly a reality, but when it comes time to experience what the city has to offer, you will never be in short supply of new places to look. From time to time while in Zanzibar you will spot a beach bonfire inviting you to party. Ultimately, try the Stone Town food market, which occupies the park in front of the Sultan’s palace. Dozens of local food vendors will be offering truly authentic flavors — be sure to try some freshly-made sugar cane juice and grilled squid. If you are looking for a place to let loose, just follow the sound of the reggae beat to one of the many dance clubs that come alive after sundown. It is a great place to get to meet locals, and people from all over the world in a setting that anyone can appreciate. And whether you want to stop here or at one of the bars throughout the city, you won’t have to worry much about your wallet, as the local prices of beer, food, and entertainment are low enough to accommodate any budget. Visit Paradise Beach to experience one of the nightly parties they throw, which will allow you to enjoy yourself in a completely different setting. With a drink in hand, and the sand between your toes, letting loose and having a great time will never be so easy. 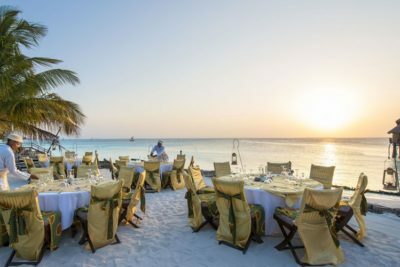 The truth is, finding plenty of options for entertainment after sundown will never be a hassle in Zanzibar, with all of the exciting choices so close at hand. Experienced international travelers will be able to tell you about the importance of vaccinations when entering and leaving a foreign country. Catching one of the local strains during travel is relatively uncommon, but only because the centers of disease control and prevention keep tight control over the medical history of those traveling. Zanzibar only requires a vaccination for yellow fever upon entering the county, and sorting that out well before leaving is ideal. Hepatitis A and typhoid vaccines are not required to enter the country of Tanzania, but are a good idea for most travelers because of the presence of these diseases within the country. Hepatitis B, malaria, and rabies are less common, but are recommended to some travelers. In general, keeping updated on your yearly flu shot, MMR shot, tetanus-pertussis vaccine and any of the other common vaccines is always a good idea when traveling to any destination. General advice about eating and drinking safely, preventing bug bites, keeping out of contact with animals, and knowing how to get medical care while traveling all come into play to keep healthy while overseas. Coming into contact with new people and places always carries the risk of infection, and staying safe is better than being sorry. If there is anything worth checking out in the area, the House of Wonders Zanzibar definitely makes the list. The tallest building in the capital of Stone Town, this museum houses some of the rarest and most interesting artifacts that belong to Zanzibar history. With traditional ships, Zanzibar fishing tools, as well as ceremonial clothing and items from the Sultan’s palace, the House of Wonders is truly the place to begin when hoping to learn about the local culture. After your initial introduction, you will be ready to explore the winding streets of Stone Town. Ancient Islamic architecture is around every corner, and it won’t take an expert eye to appreciate its beauty. Hearing daily prayer calls come down from the mosque, and mingling with the ever-present scent of cinnamon and clove will make it easy to lose yourself in the endless pleasures. Just make sure to bring your Zanzibar map! If getting in touch with nature is more your style, try out an early morning dolphin safari. Take a speedboat out over the clear waters and spend time with the local wildlife, who will often be friendly enough to return the kindness! If you would rather get more up-close and personal, diving in Pemba will let you get a first-hand experience of the corals, the fish, and the many other creatures that call the ocean their home. For the land-lovers among us, Jozani forest tours offer a chance to see some of the world’s most diverse collection of wildlife within a truly natural setting. Exotic and colorful birds will fly overhead singing unique melodies, and curious Red Colobus Monkeys will often be eager enough to pay a visit. Just don’t try feeding them or you may end up with a few new friends! 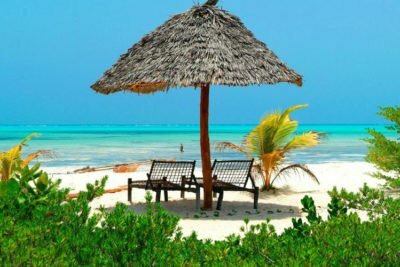 See some of the most romantic things to do in Zanzibar while on honeymoon. Those entering the country of Tanzania are required to present a passport and visa each time they enter the republic. The visa is a way for the country to pre-approve visitors to their land, through the assignment of an official document. As with all of your other preparations, getting your visa paperwork sorted out long before your trip is always the best course of action, to make sure everything goes smoothly during your trip. You can get your own visa while abroad at the Diplomatic or Consulate Mission of the United Republic of Tanzania. It usually only takes a single business day, though obtaining a visa last minute in this way is advised against, to avoid any problems entering the country. 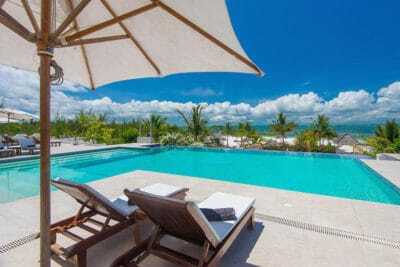 In conclusion, when planing to book your Zanzibar trip, make your booking early to get the right hotel of choice.